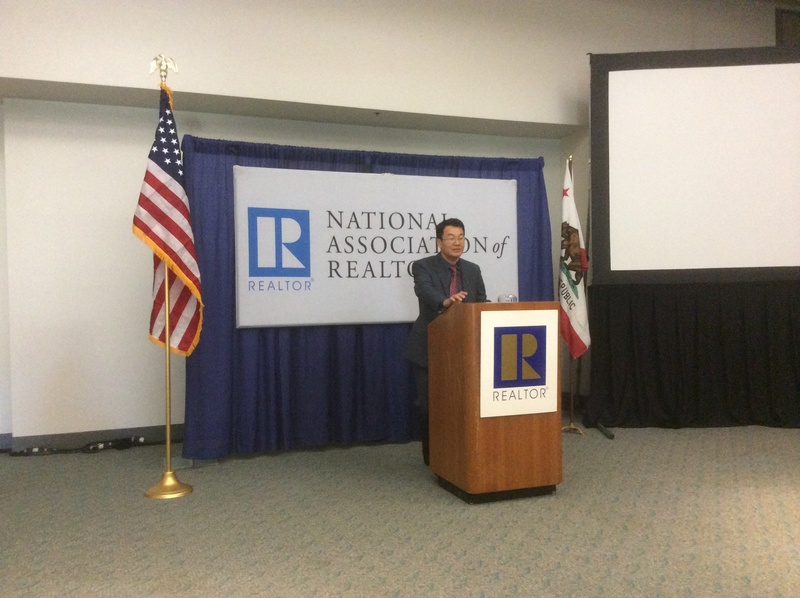 SAN DIEGO – The nation’s home sales will show an uptick next year, although the progress will be impeded by rising mortgage rates, the chief economist of the National Association of Realtors told real estate agents at the organization’s annual convention in San Diego on Friday. “Another year of stronger housing demand and sales will be driven by increasing consumer confidence and solid job growth – especially in the states in the West and South that are leasing the rest of the pack and will continue to see further job creation,” said NAR chief economist Lawrence Yun. Yun predicted a 3 percent increase in home sales in 2016, a slower pace than 2015. The Federal Reserve is expected to increase interest rates. Yun is predicted rates will rise to 4.5 percent next year, up from around 3.8 percent in 2015. NAR believes ongoing tight credit is hampering a full market recovery and leaving potential buyers on the sidelines, and urges regulators and lenders to only enact policies that create a balanced environment that is safe and affordable, especially for first-time buyers. NAR data show the share of first-time buyers fell to 32 percent of the market in the past year, its lowest point since 1987. Yun said the Houston housing market will be hurt by falling oil prices. The most recent sales report from the Houston Association of Realtors showed the worst sales decline of the year. HAR reported 5,873 single-family homes were sold in October, down about 10 percent from the 6,541 sold in October 2014. Falling oil prices and cutbacks in drilling prompted Houston energy firms to layoff employees, which has been challenging for Houston home sales during 2015. But the market has performed amazingly well, appearing almost bulletproof until dented with this 10 percent decline in October. The substantial rise in home prices has been motivating homeowners to put their homes up for sale, says Mahmood Pakzaban, a Realtor with Keller Williams Realty in Pearland, on Houston’s south side. “There are a lot of listings coming on to the market,” Pakzaban says. Higher home prices liberate the owners, who can now pay for transaction costs and commissions and still have a sizable sum for a down payment on another house.